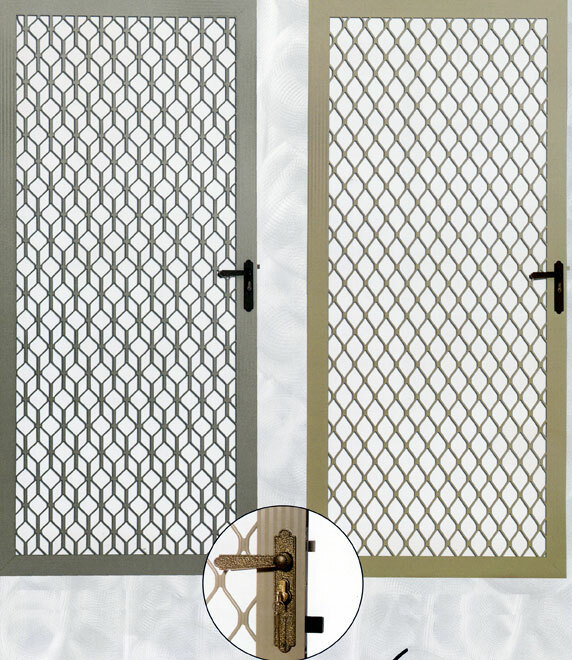 These Aluminum Security Doors have an extruded aluminum frame with a screen mesh backing or a stainless steel wire. Most of the doors are available in Black, Bronze, Almond and White finishes. The deadbolt lock set is included along with the tax and installation. Heavy gauge aluminum frame with stainless steel mesh. A true screen door look and air flow with the security of a heavy duty steel security door. Five Year Warranty. with any questions or for a free estimate. Please add us to your Favorites if you may want to return.